A native of Sonoma County, Ken has been a financial advisor since 2001. In order to better serve his clients, he earned the AAMS® (Accredited Asset Management Specialist) designation from the College of Financial Planning. Ken truly enjoys helping his clients achieve their financial goals through thoughtful comprehensive financial planning. Ken lives in Cotati with his wife Jackie and his children, Kelsey and Evan. He loves cooking, making award-winning wines, listening to music, and spending time with his family and friends. He also enjoys traveling, playing golf, and occasionally, a little fishing. 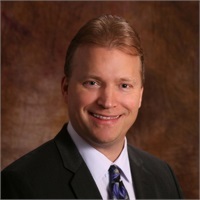 Ken Weise is a Registered Representative with LPL Financial.